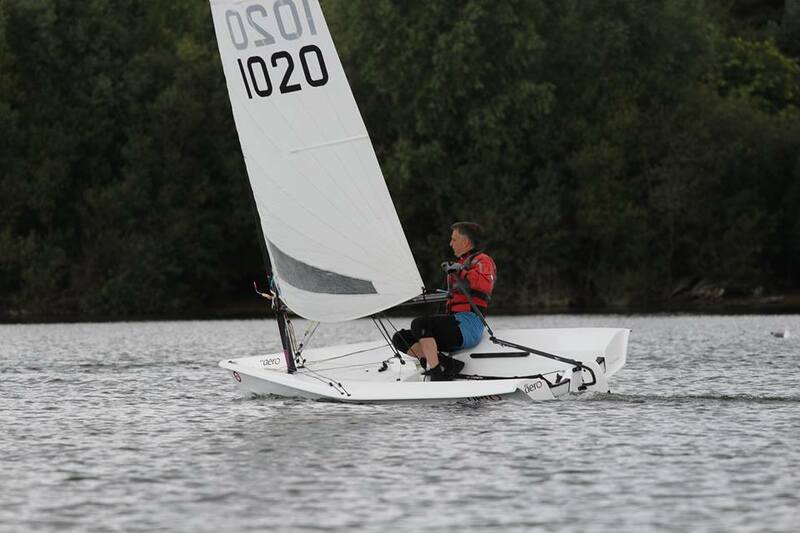 54 boats came to Alton water on a fine autumnal day for what was a fun Single Hander Open. This event served as the final event in the Eastern Traveller Series for the RS Teras and an RS Aero open as well as a shake down for some Lasers, Toppers, and even a Moth. The intention was for three races in the afternoon but sadly the wind decided not to play ball. 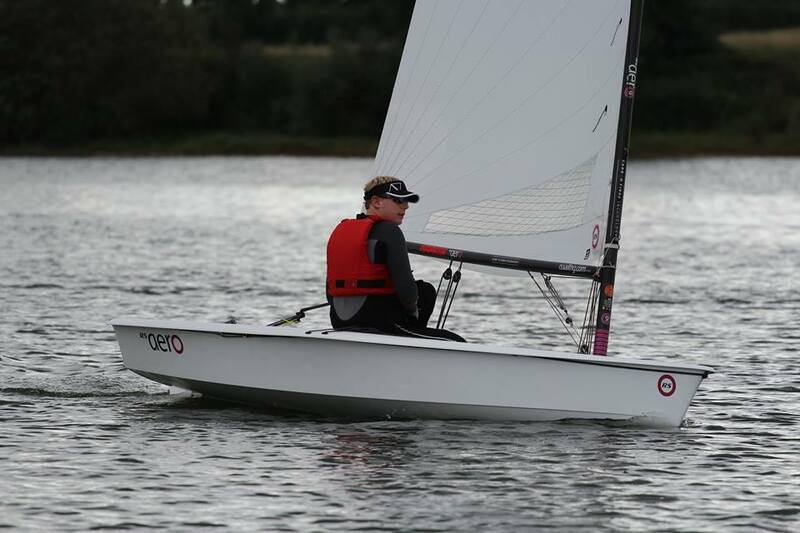 With a course set to try and make best use of what wind there was, the RS Aeros made best use of it and managed to complete 3 races. Sadly the larger fleets only managed 2 before the wind disappeared. The RS Aeros revelled in the light winds. Only 9 and 7 rigs were represented with the two lightest lads deciding together to go big. Matt Thursfield, Peter Townend and Richard Watsham travelled over from the west to spend the weekend at Alton. Archie Hainsworth showed his intent in the first race beating the 9 rigs over the water, but once the visitors figured out the vagaries of the lake, and the wind strengthened a little they did not let Archie have it all his way and Pete took the second race ahead of Matt and Richard. 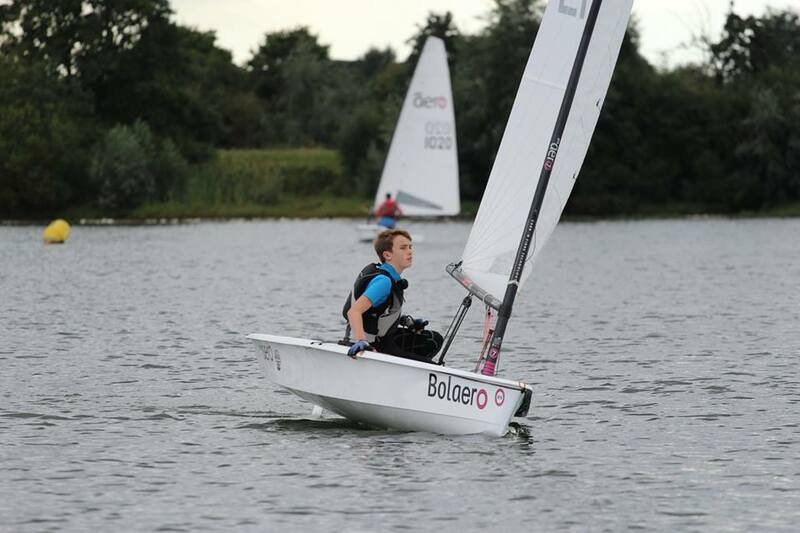 Archie managed to catch the 9s up again in the third race, for which the wind had increased slightly allowing an extra lap to be sailed. Charlie Pearce in his new 7 rig and Malcolm Mellor were not to be outdone and battled with each other for the minor 7 places, finishing in that order. Sadly Gavin Johnson was not able to finish the third race and keep the visitors honest. 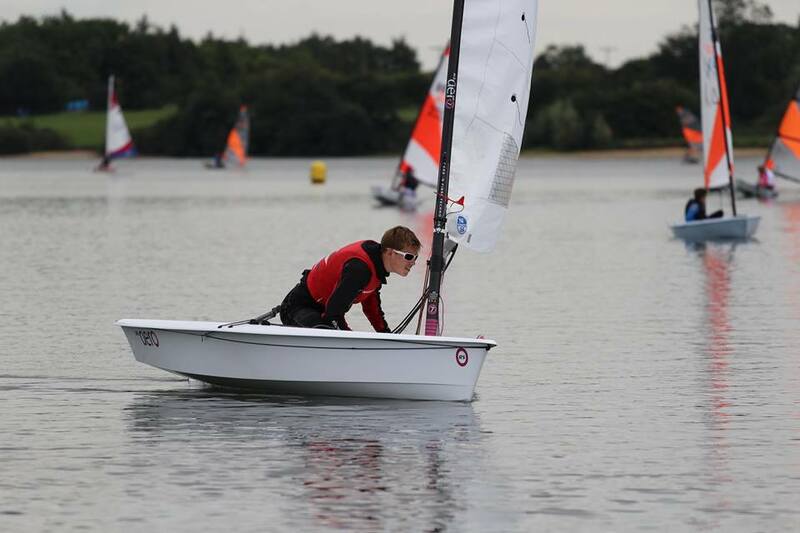 In the RS Tera Pros young Matt Taylor displayed some superb light wind skills taking both races and completing a clean sweep of wins in the series, regardless of which rig he used. Matt Smith, James Oakley and Tristan Richardson battled it out with each other for the minor places. Overall Matt had the Series win. In the RS Tera Sports Joshua Davies had the skills and patience to win both races with Blake Tudor and Jack Oakley along with Ned Stattersfield taking the minor places. Matt Taylor had already sealed the series win in the Sports. In the rest of the single handers, a large group of lasers and toppers entered at the very last minute, after the start sequence decision had been made. As a result the fleet spread out and many of the faster boats went ashore waiting for the slower ones to finish. The prospect of another light air race was too much for some to come back out and race the second. In the only race the majority did Arthur Brown won easily in his radial, with Mark Schofield and Josh Richardson taking second and third. Dan could not get his moth foiling so decided just to have some fun. In the second race Josh did one better finishing behind a much improved Daisy Western in her Oppie, with local RS 300 sailor Oli Harris in third. High spirits and good humour were the order of the day and there was a level of anticipation for Barts Bash the next day. The membership secretary was testing out his new found computer skills to get the race results out and a few beers and ice creams were consumed after the racing from the excellent Regatta cafe on site.